Pre-Matric Scholarships Scheme for Minorities 2018 Application Form Released -Apply!! Home Scholarship & Fellowship Pre-Matric Scholarships Scheme for Minorities 2018 Application Form Released -Apply!! Pre-Matric Scholarships Scheme for Minorities 2018: Scholarship is basically a grant or payment made by the government and other reputed organisation to support a student’s education, awarded on the basis of academic or other achievement. Application form for session 2018-19 has been released on 23rd July 2018. Visit the latest update section below to apply before 31st October 2018. One of them is Pre-Matric Scholarships Scheme for Minorities 2018. 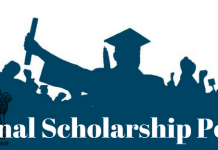 This scholarship is for minority communities provided & supported by the Government of India. In this scheme, Govt of India invites application from class 1 to 10 students from minority communities such as Muslims, Sikhs, Christians, Buddhists, Jains, and Zoroastrians. The main objective of this program is to provide financial assistance and to encourage parents for sending their children to school. The govt of India will bear the expenses of the admission fee, tuition fee, maintenance allowance of the eligible students for 10 months in an academic year. To get the detailed information related to Pre-Matric Scholarships Scheme for Minorities 2018 – Read Below. Scholarship will be awarded to the students of class 1 to 10 who have secured not less than 50% marks in the previous final examination. Annual income of their parents/guardian from all sources does not exceed Rs. 1 lakh. The students should belong to the minority community (Muslims, Sikhs, Christians, Buddhists, Jains and Zoroastrians/Parsis). Eligible candidates must follow the below-mentioned steps to register for the Pre-Matric Scholarships Scheme for Minorities 2018. The application form for the academic session 2018-19 has been released in online mode. The registration window will remain open till 31st October 2018. Click on the link below to apply or renewal. Click on “new user” or register. Now, click on “Pre Matric Scholarships Scheme for Minorities” under Ministry of Minority affair. Fill all the details and register. Login again with given ID. Registered mobile number will get an OTP. At last click on “submit”. Save, Download & take the printout of the filled application form. Students who are going to apply for this scholarship, they are advised to go through terms & conditions carefully given below. The distribution of scholarship among the States or Union Territories will be made on the basis of the population of minorities (Muslims, Sikhs, Christians, Buddhists, Jains, and Zoroastrians) in the States or Union Territories. Reserving for girl students: 30% of the scholarship will be reserved for girl students. In case a sufficient number of eligible girl students are not available, then the balance reserved scholarships may be awarded to eligible boy students. The scholarship will be discontinued if a student fails to secure 50% marks in the annual exam except in case of unavoidable reasons to be certified by the Principal or competent authority of the school and recommended by the State Government/Union Territory Administration. Scholarship will not be given to more than two students from one family. Students should be regular in attendance for which the average will be decided by the competent authority of the school. Income certificate to be issued by the Competent Authority declared by the State Government or UT Administration. The school or institute will certify the claim of student of being an outstation or not residing in hostel of the school or institute concerned. Migration of student from one school or institute to another would not normally be during the course of academic year except under exceptional circumstances and in the interest of student’s academic career. If a student violates school discipline or any other terms and conditions of the scholarship, the scholarship may be suspended or cancelled. The State Government or Union Territory Administration can also directly cancel the award if duly satisfied of the reasons of violation of these regulations governing the scheme. If a student is found to have obtained a scholarship by false statement, his/her scholarship will be cancelled forthwith and the amount of the scholarship paid will be recovered, at the discretion of the concerned State Government or Union Territory Administration. The State Government or Union Territory Administration will lay down the detailed procedure for processing and sanction of scholarship to eligible students. Maintenance allowance will be credited to the student’s bank account. Tuition fee will be credited to the school’s or institute’s bank account. The State Government or Union Territory Administration will maintain normal and records relating to the funds received from the Ministry and they will be subjected to inspection by the officers of the Ministry or any other agency designated by the Ministry. The State Governments or Union Territory Administrations will constitute a committee of the Departments implementing such scholarship schemes to ensure that the student from the minority community, who may also belong to children of those engaged in unclean occupation and OBC do not avail scholarship from other sources for the same purpose and avail only one source. The scheme will be evaluated at regular intervals by the Ministry or any other agency designated by the Ministry and the cost of the evaluation will be borne by the Ministry of Minority Affairs under the provision of the scheme. The State or Union Territory will place all relevant details of financial and physical achievements on their websiteThe regulations can be changed at any time at the discretion of the Government of India.